Real J. 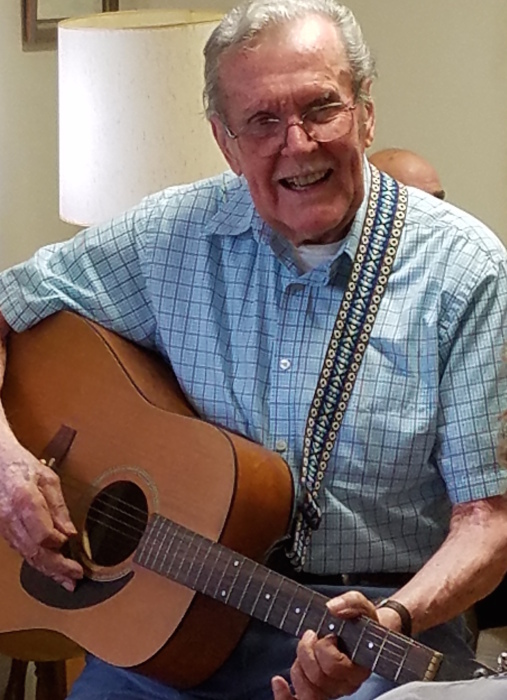 “Ray” Champagne, 84, of Fairgrounds Road passed away Friday, March 29, 2019 at Jack Byrne Center in Lebanon, NH. Born on September 24, 1934 in Martinville, Quebec, Canada, he was the son of Joseph and Ernestine (Gagnon) Champagne. Ray grew up and attended school in Canada. On May 25, 1957, he married Shirley Borowski in Hartford, CT. She died in 1993. For over 39 years, he was self -employed as a siding contractor. In retirement, he wintered in Florida with Jane Brown, his companion for the past 17 years. He was a member of the Moose Club in Pompano, FL and Club Richeleau in Pembroke Pines, FL. Ray was a communicant of Our Lady of Perpetual Help in Bradford. He was also an accomplished fiddle player and was a member of the Northeast Fiddle Association and the Champlain Valley Fiddlers. Besides his parents and wife, he is pre-deceased by two brothers and four sisters. Two daughters: Deborah Champagne and her husband Kenneth Costa of Sunapee, NH and Lisa Champagne of Mexico, ME; three grandchildren: Brianna and Kailey Willette and Christian Champagne ; three sisters: Rollande Garneau, Eliane St. Hilaire, and Lucille Molleur; his companion Jane Brown and family of Bradford, VT as well as many nieces, nephews, and cousins. A Mass of Christian Burial will be celebrated at 11am Friday, April 5 at Our Lady of Perpetual Help, Upper Plain, Bradford, VT. Burial will be at a future date at Burns Cemetery in Pomfret, VT. Calling hours will be held from 6:00pm to 8:00pm Thursday, April 4 at Hale Funeral Home, 187 Upper Plain, Bradford, VT. In lieu of flowers, memorial donations may be made to David’s House, 461 Mt. Support Rd., Lebanon, NH 03766.